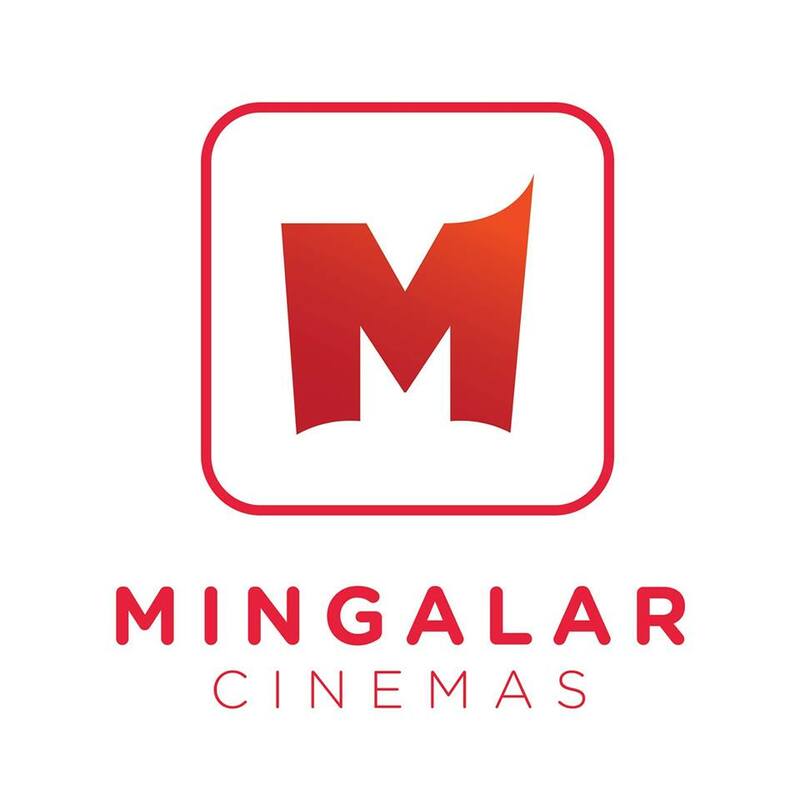 Mingalar Cinemas has been on my radar quite a bit of late. 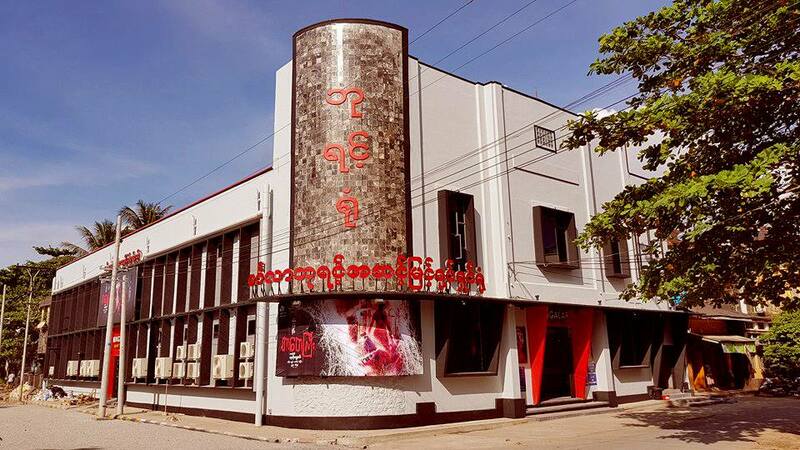 The Yangon-based movie theater chain (Myanmar's largest) has been quietly opening new locations across the country, venturing beyond their traditional mainstays of Yangon and Mandalay. Last December they opened their first branch in Mon State. 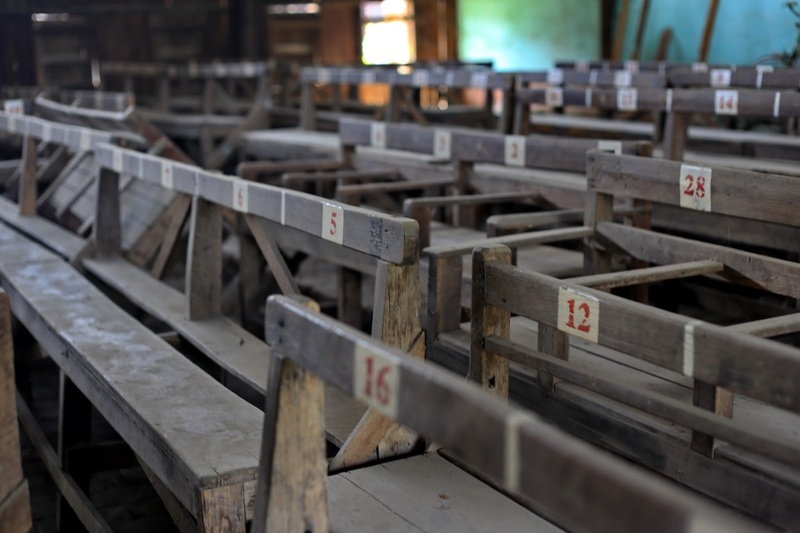 Prior to that, they opened new theaters in Pyay, Bago and Magwe, while also increasing their theater holdings in Yangon and Mandalay, respectively. 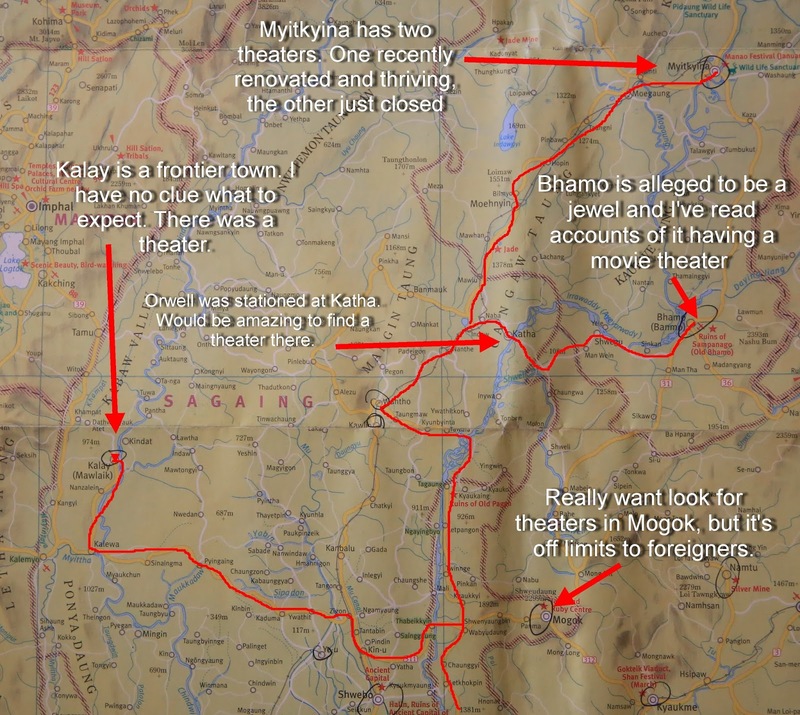 Mingalar's expansion isn't a big surprise. Most of Myanmar's leading companies have jumped at the new economic opportunities present since the country's reemergence on to the global stage. 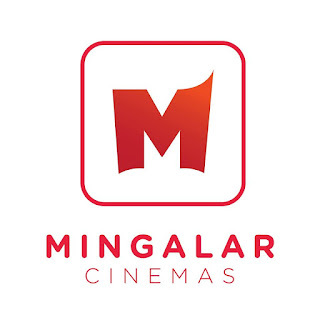 But as a theater chain - the nation's most prolific, at that - it's Mingalar's approach to expansion which is worth taking note of. 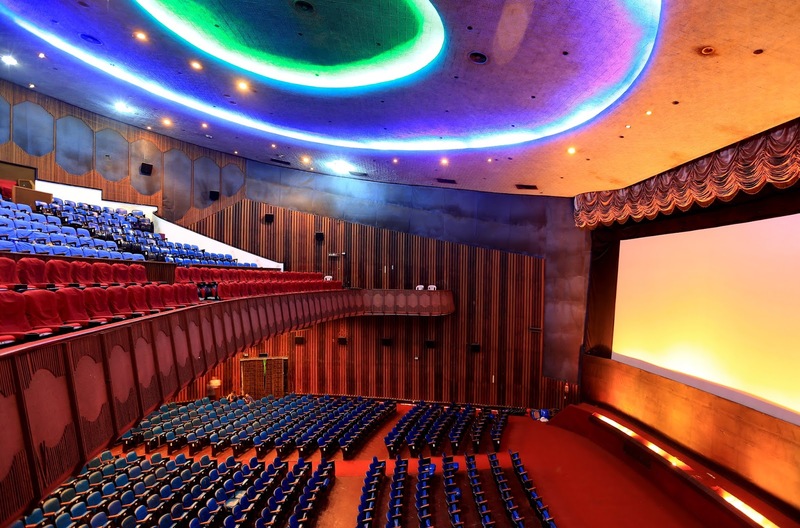 In stark contrast to most other theater chains around the world, Mingalar Cinemas has an affinity for acquiring and renovating antique movie theaters. 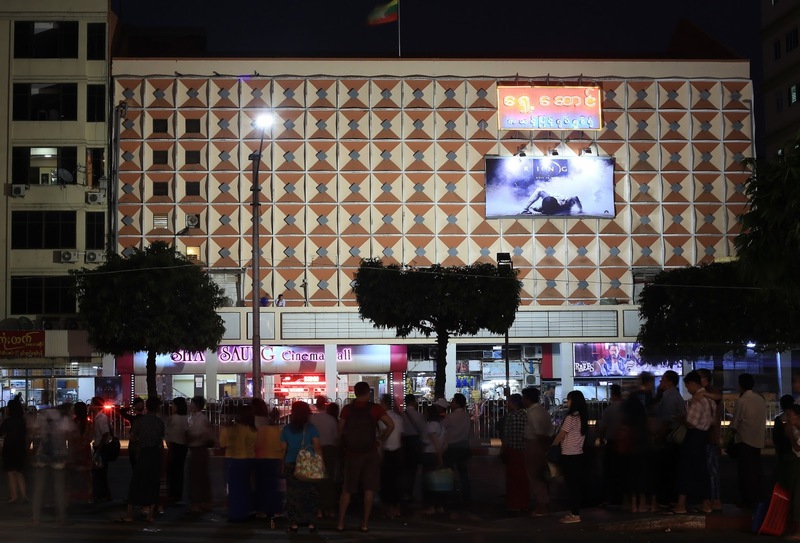 That's a rarity these days, especially in Southeast Asia, where the multiplex-shopping mall combination has become the norm. 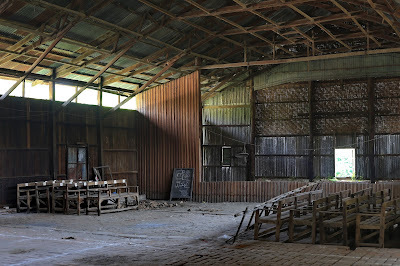 To see a movie exhibitor show any interest in preserving the architectural history of its very own industry is a much welcomed change. 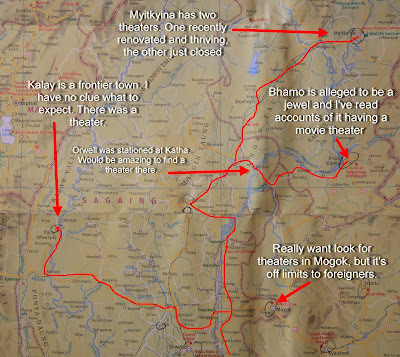 Mingalar's newest branch - the theater in Mon State mentioned above - is the 72 year old Bayint Cinema. 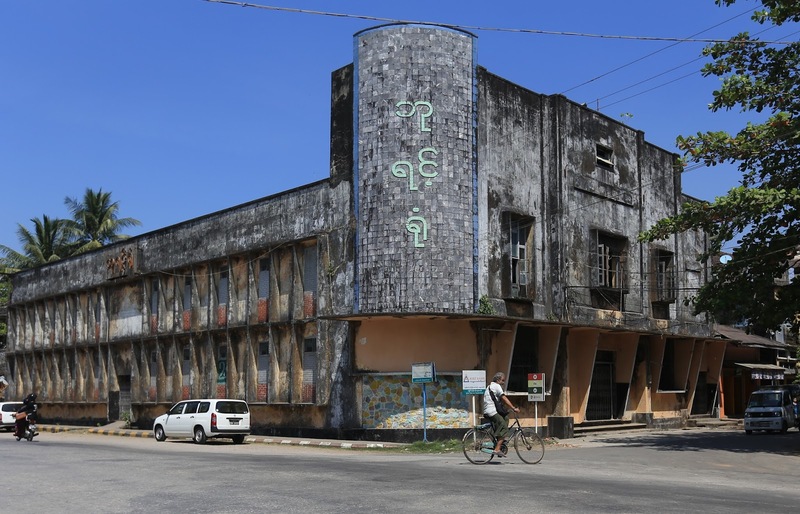 After nearly a decade long stretch of sitting vacant, Minagalar purchased the impressive old theater on the Mawlemyine waterfront and renovated it from top to bottom, carefully preserving all of its exterior architectural elements in the process. 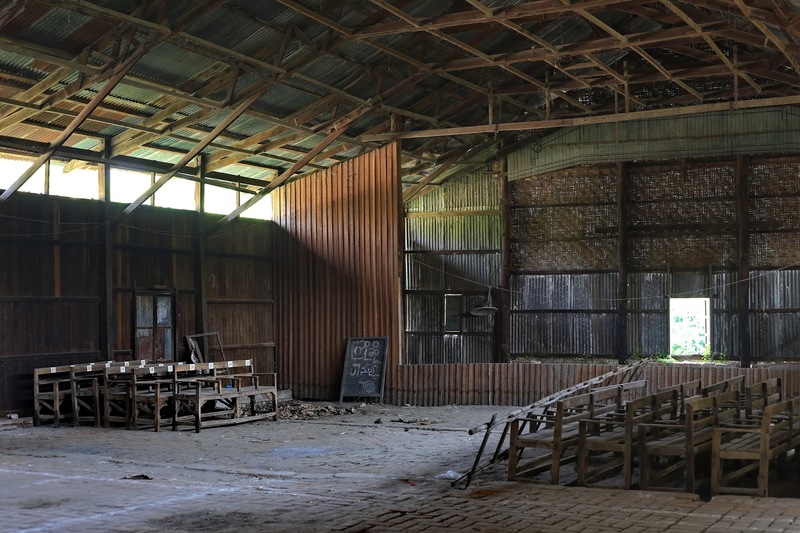 Besides adding a new entertainment venue, this marks a key preservation victory for Mawlemyine, a city with a uniquely historic if run-down building stock. 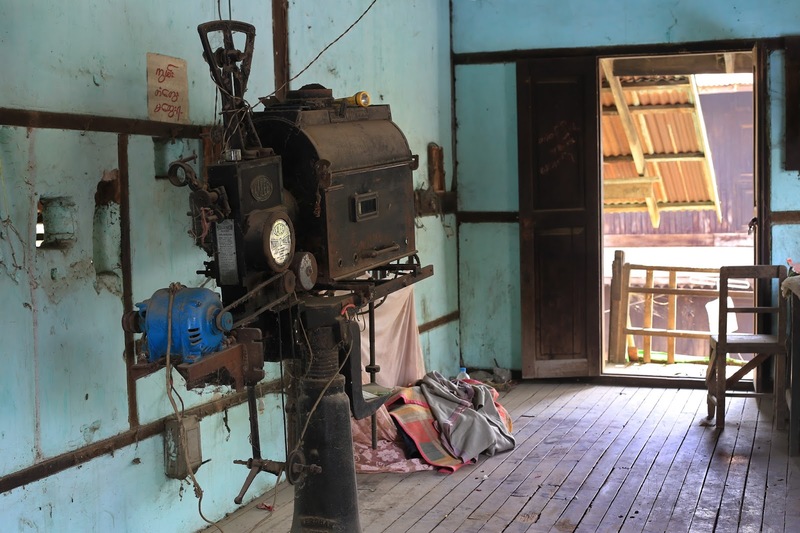 Mingalar has done the same elsewhere in the country, taking forgotten cinema spaces out from the doldrums of history and into the 21st century. 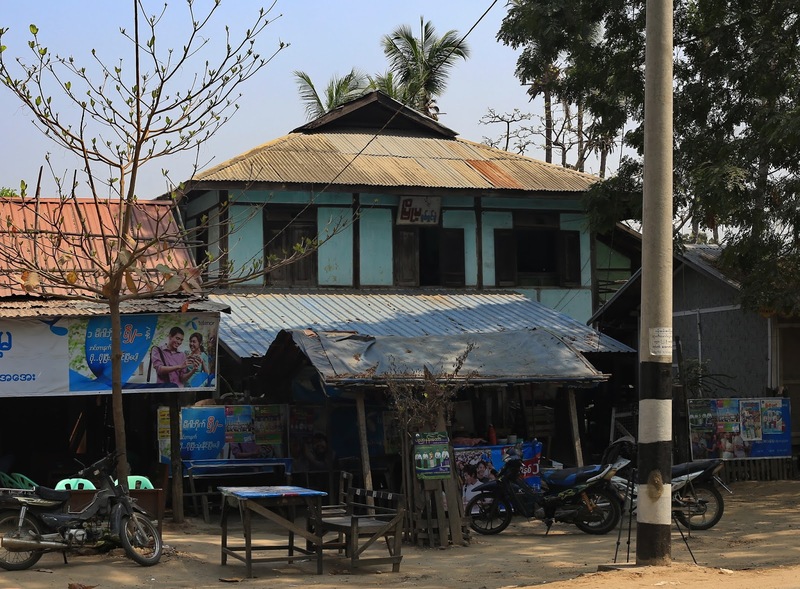 In so doing, the company is helping to conserve an architecturally rich identity that Myanmar is gradually becoming famous for, while expanding their own footprint along the way. 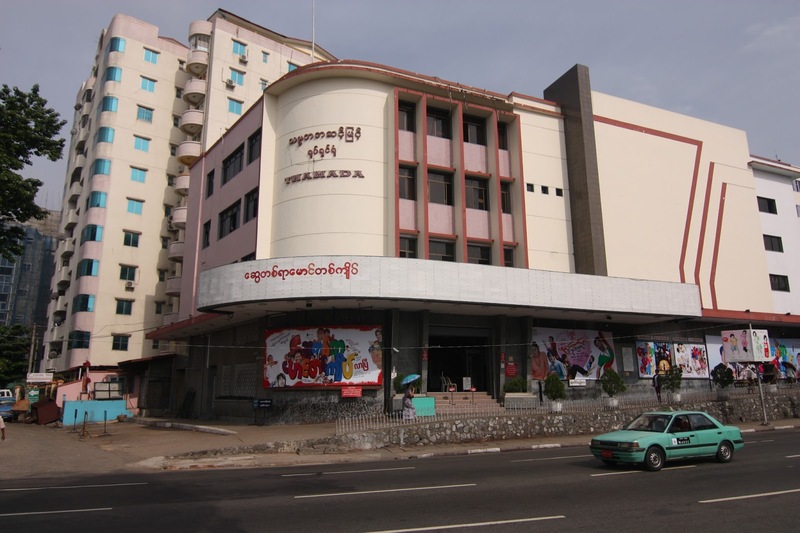 Pictured above is The San Pya Cinema, in downtown Yangon. 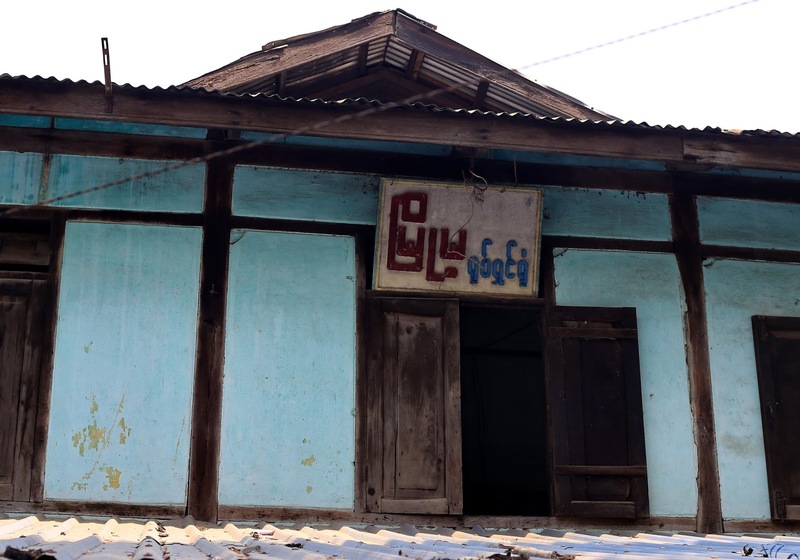 The photo on the left was taken c. 2010, when it was basically a flophouse. 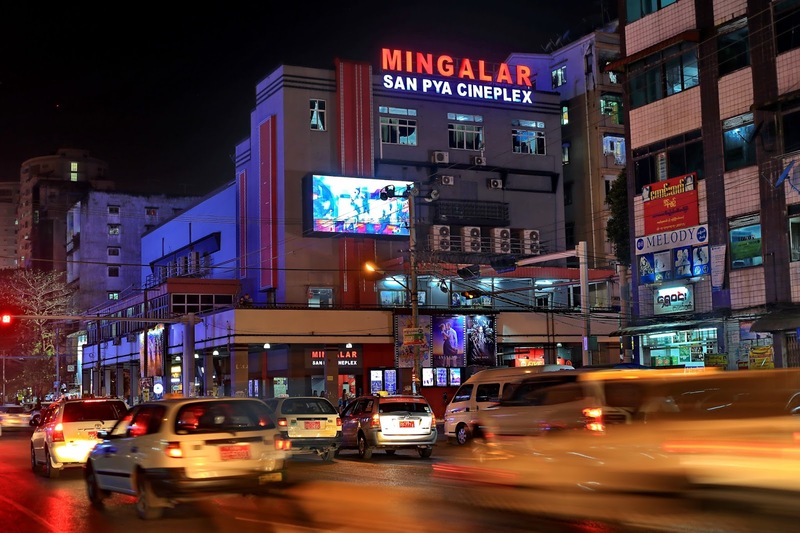 On the right is The San Pya in 2017, three years after Mingalar Cinemas bought and renovated it into a first class theater with three screening rooms. 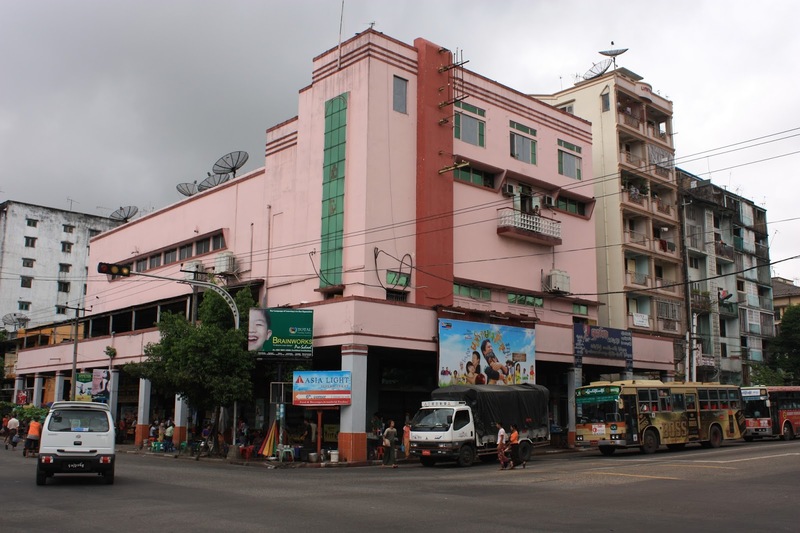 All the classic International Style architecture was preserved, and the intersection still has its landmark movie theater. The Shae Saung Cinema is another mid-century beauty, perfectly preserved by Mingalar Cinemas. 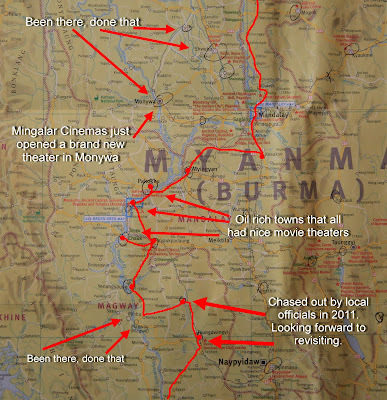 For all the reasons stated above, I am extremely proud to announce that Mingalar Cinemas is sponsoring my 2018 Myanmar Theater Survey, commencing in February. 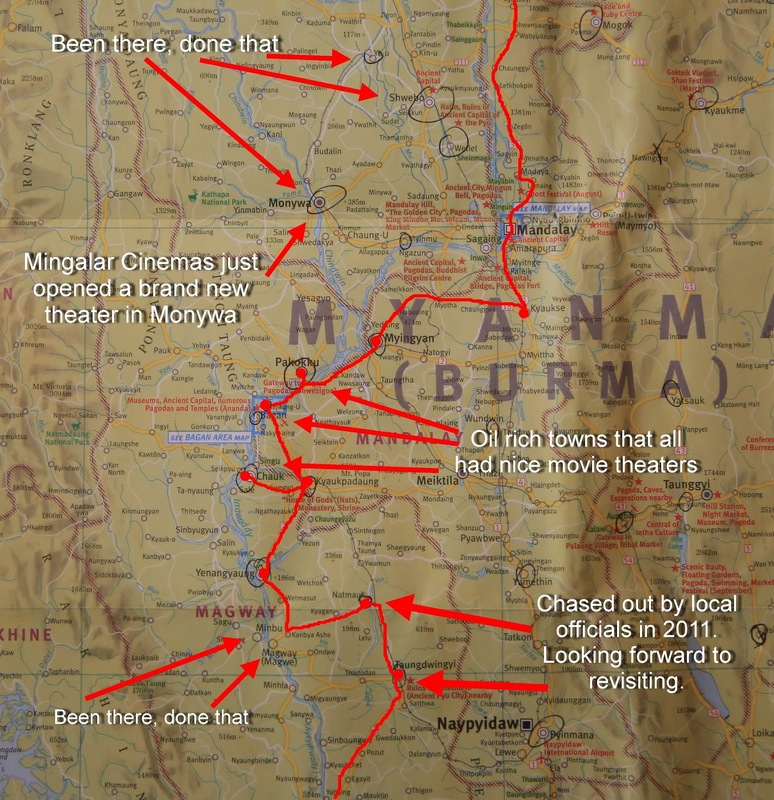 This 5th round of movie theater documentation will probably be my last in Myanmar, so to go out on a high note like this is truly an honor. 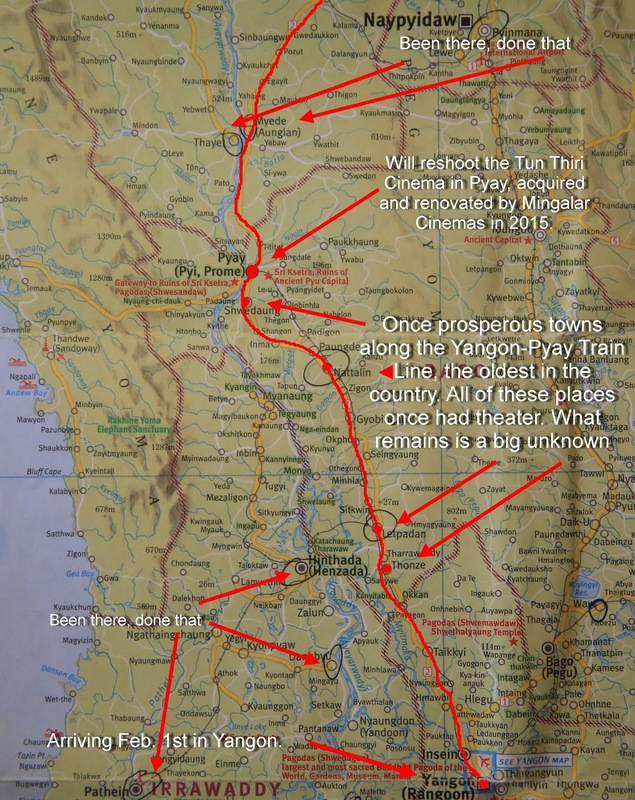 It is my hope that this sponsorship will result in more preserved cinema treasures down the road.